25. 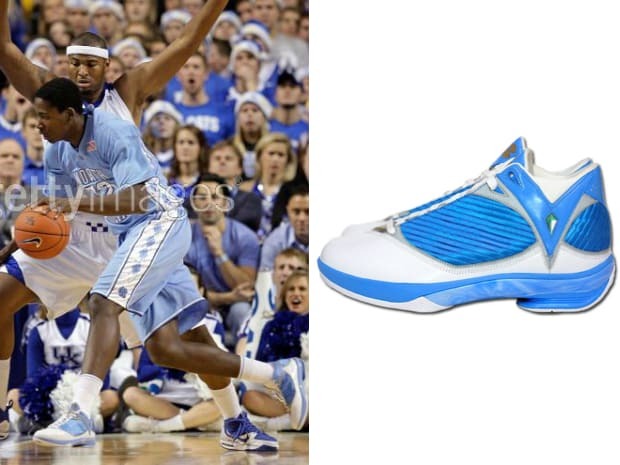 Air Jordan 2009 PE "UNC"
Complex Says: Upon arriving in Chapel Hill, forward Ed Davis was an instant contributor to the 2008-2009 National Championship team. After breaking his wrist early in his sophomore season, Davis then went on to enter the NBA Draft in 2010, where he went in the top 10. And while the fencing-inspired (!) Air Jordan 2009 was quite the hit-or-miss shoe, the UNC version was — well, enough about that.